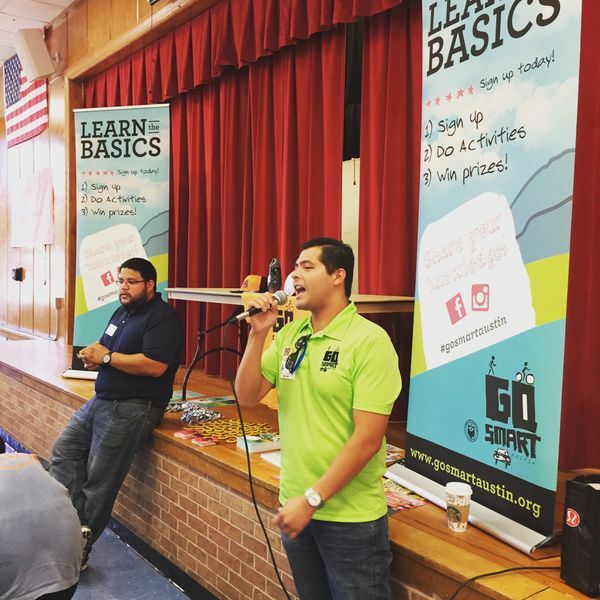 Chris and Amir from Go Smart Austin visited all lunches today to get the kids excited about biking and walking safety. They are giving out some cool prizes for kids who complete certain tasks and there's even a grand prize of a $250 gift card. Get educated and get safe!